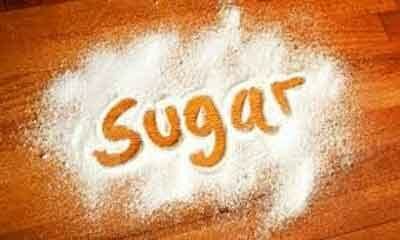 The type of sugar you eat and not just calorie count may determine your risk for chronic disease. A new study is the first of its kind to compare the effects of two types of sugar on metabolic and vascular function. The paper is published ahead of print in the American Journal of Physiology Heart and Circulatory Physiology. Female rats were given a liquid solution of either glucose (a form of sugar found naturally in the body after carbohydrates are broken down) or fructose (sugar found in fruit and fruit juices) in addition to their normal diet of solid food. The rats received the sweetened solutions for eight weeks, roughly equivalent to a person eating large amounts of sugar for six years. The sugar-fed rats were compared with a control group that received plain drinking water in addition to their food supply. Researchers found that although both sugar-fed groups consumed more calories than the control group, the total calorie intake of the glucose-fed rats was higher than the rats that were given fructose. Another surprising observation was that “despite this difference, only the fructose group exhibited a significant increase in final body weight,” wrote the research team. In addition to higher weight gain, the fructose group showed more markers of vascular disease and liver damage than the glucose group. These included high triglycerides, increased liver weight, decreased fat burning in the liver (a factor that can contribute to fatty liver) and impaired relaxation of the aorta, which can affect blood pressure. These findings suggest that an increase in the amount of calories consumed due to sweeteners is not the only factor involved in long-term health risks. The type of sugar may also play a role in increasing risk factors for heart disease, diabetes and other chronic diseases.